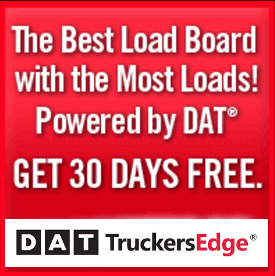 Home Trucking Industry Resources What Is Safersys (Safer System)? What Is Safersys (Safer System)? Safersys, known as the Safer System, is company safety data that is offered to the public by the Federal Motor Carrier Safety Administration. You can search the system by DOT Number, MC/MX Number or by the company name. You can access the search system here. Users can search FMCSA databases, register for a USDOT number, pay fines online, order company safety profiles, challenge FMCSA data using the DataQs system, access the Hazardous Material Route registry, obtain National Crash and Out of Service rates for Hazmat Permit Registration, get printable registration forms and find information about other FMCSA Information Systems. Allow 7 – 10 Business Days to receive a PIN notification letter. You may also want to consider the Company Snapshot, which can also be obtained and accessed on FMCSA. Company Snapshot is a concise electronic record of a company’s identification, size, commodity information, and safety record, including the safety rating (if any), a roadside out-of-service inspection summary, and crash information. The Company Snapshot is available via an ad-hoc query (one carrier at a time) free of charge.